Jalandhar: Association of Indian Universities’ (AIU’s) national festival proved once again that talent knows no bar as 22-member contingents of Lovely Professional University, comprising students mainly from engineering programs, won 9 positions this year. 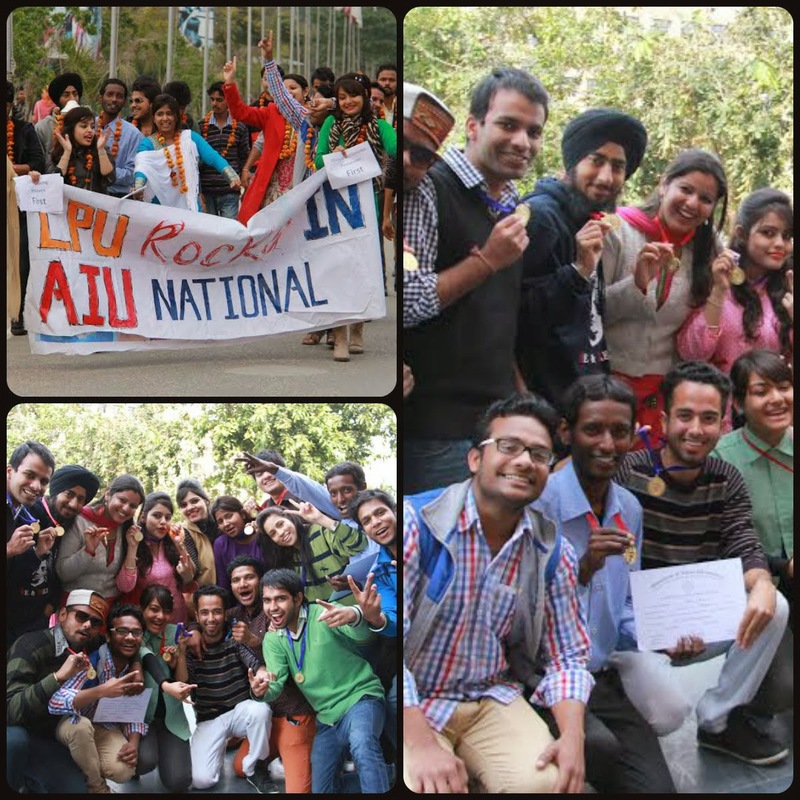 This 29th national AIU fest witnessed toughest competition among participants of 74 universities from across India. Sponsored by Ministry of Youth Affairs (Government of India), the fest brought huge elevation to the university. Organised annually, all the winners of the national festival are now eligible to perform on international platform at SAUFEST (South Asian Universities Festival). Named as ‘Saraswati Mahotsav’, the national fest was organised by Kurukshetra University in collaboration with AIU, where LPU students won four gold medals, one silver and one bronze medal along with three coveted positions. Students won gold medals for Classical Instrumental Solo (Percussion), Western Group Song, Installation and Elocution categories. One silver and one bronze medal each was won for Debate and Cartooning. Participation in Classical Dance Indian Solo, Skit & Quiz also made students to be on the coveted positions. When I was a student, I read really useful advices here. I must say it has changed my opinion about education.